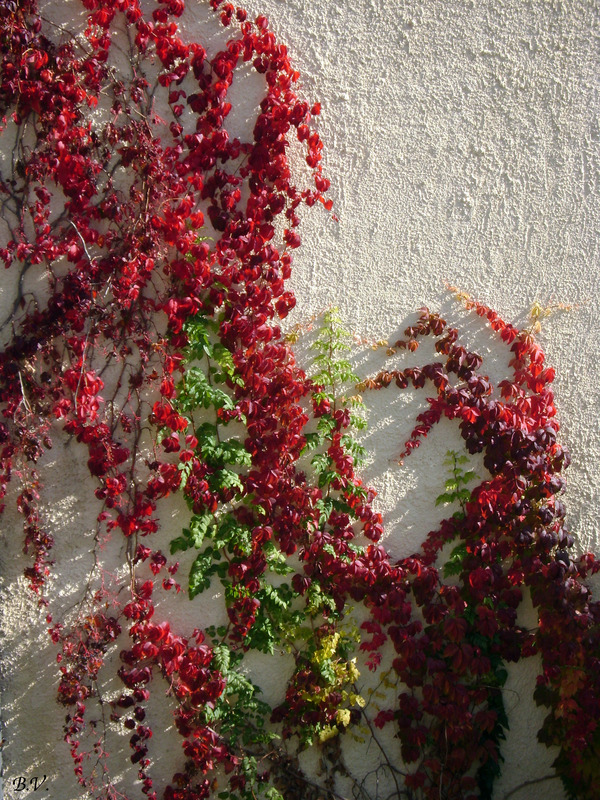 A beautiful Parthenocissus quinquefolia (or Virginia creeper or five-leaved ivy) dressed for Christmas time with red leaves. 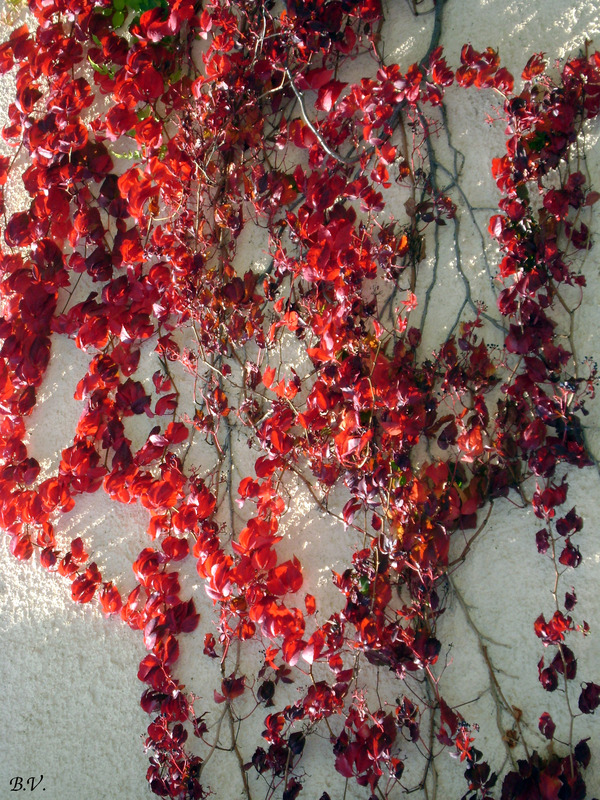 This entry was posted in Nature and tagged Araliaceae, Christmas, five-leaved ivy, Flora and Fauna, hedera helix, ivy, Magnoliophyta, Magnoliopsida, Parthenocissus quinquefolia, Plantae, Virginia creeper, Vitaceae. Bookmark the permalink. 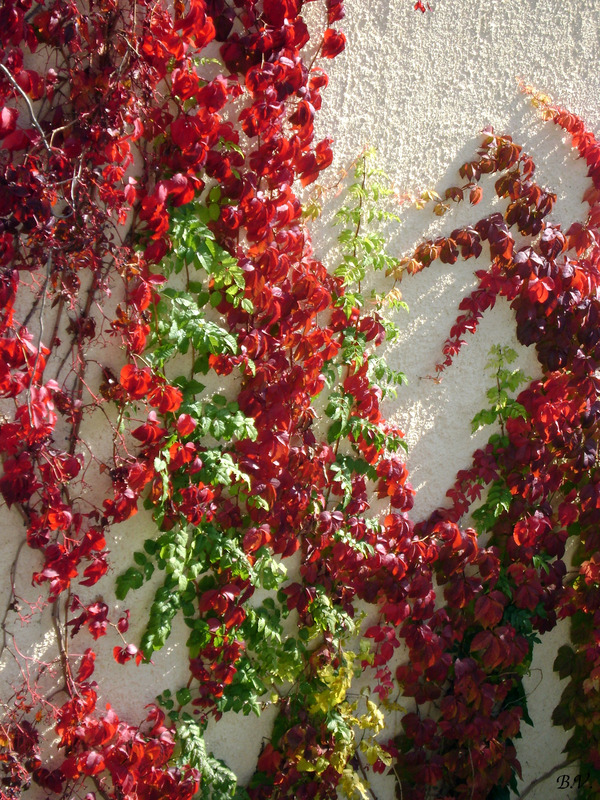 I have to offer a little correction here – this is actually Parthenocissus quinquefolia (Virginia Creeper or Five-Leaved Ivy). But a lot of people get these creepers mixed up and refer to them all as ivy, so no need to be embarrassed. 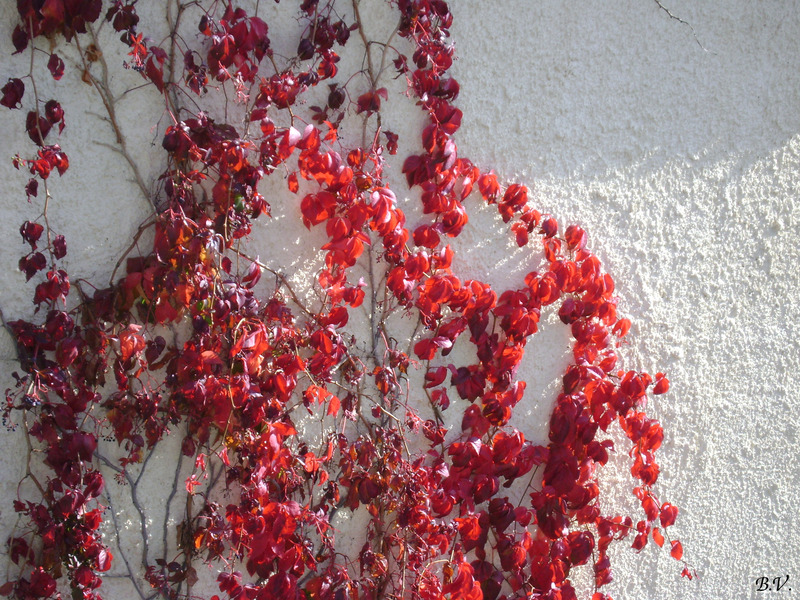 :) And this is one of my favourite plants, too – love the red autumn colour! Beautiful pictures! Thank you very much for the correction!